All Members and Guests: £20 A limited number of 30 tickets is available. 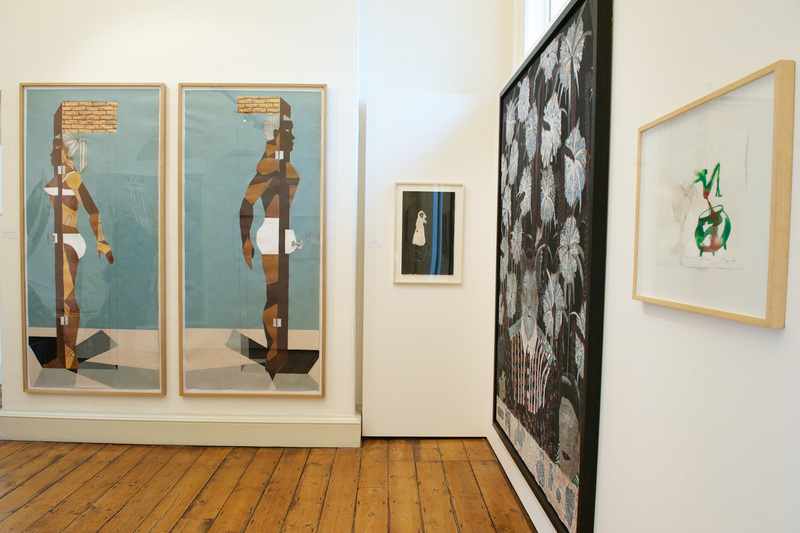 The Yale ArtCircle is proud to present a guided tour of 1:54, the Contemporary African Art Fair in London on Sunday, 18th October. Now in its third year, 1:54 brings together galleries from the African continent, Europe and the US, showcasing artists working in Africa and the diaspora. 1:54 was established three years ago as an independent art fair showcasing exclusively contemporary art from the African continent and its diaspora. Last year it traveled to New York where its first US edition enjoyed great success when it ran parallel to the programme of Frieze art fair. Many of the artists featured by important galleries such as Jack Shainman, Imane Farres and Tiwani Contemporary have been attracting a lot of attention in the media and have been featured in significant international shows in recent years at the Tate, the Venice Biennale, the Institut du Monde Arab and many others (Sammy Baloji, Ibrahim Mahama and Njideka Akunyili to name a few). We also have the great pleasure of being joined by Nicholas Roman Lewis (Senior Director, SIGs/AYA). Right after the tour Nicholas will speak to us about the newly formed Yale Alumni Arts League and ways you can get involved! Please join us at one of Somerset House's lovely cafes to hear how you too can be part of this!